There is no shortage of supply chain leaks, rumors, and concept renders on Apple’s 2019 iPhones, even though the phones are still a few months away. We have already seen a stunning Apple iPhone 11 concept that ditches the display notch in favor of a Samsung Galaxy S10-like punch-hole display. 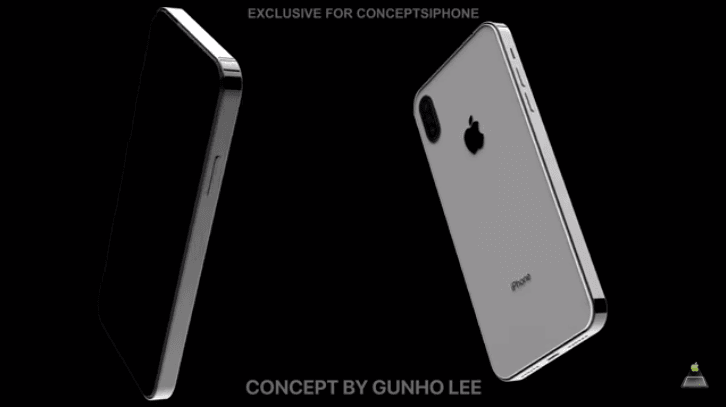 Now concept designer Gunho Lee has collaborated with ConceptsiPhone to bring a stunning iPhone 11 concept that has a cool iPad Pro-like design. Do you like the squared-off design of this Apple iPhone 11 concept? TF International Securities analyst Ming-Chi Kuo has confirmed that Apple would launch three iPhones this year, just like last year. The overall design of 2019 iPhones is expected to remain the same, except for a few minor changes. Gunho Lee’s concept imagines what the devices would look like if they had an iPad Pro-like design with squared edges. Last year’s iPad Pro models had the same design philosophy as the iPhone 5 and iPhone SE, albeit with a more modern look. 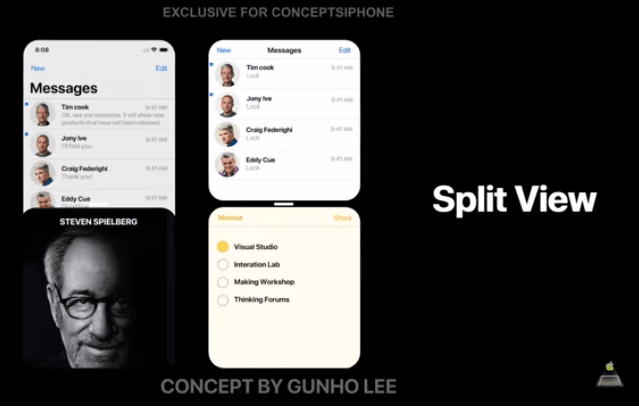 Gunho Lee’s iPhone 11 concept ditches the familiar rounded edges in favor of squared-off edges similar to the 2018 iPad Pro and the older iPhone SE. The iPhone 11 Max and iPhone 11R have also been given the same treatment. The devices have a nearly bezel-less design with a display notch. On the back panel, the iPhone 11R sports a single lens while the iPhone 11 and 11 Max get a vertically-aligned triple camera setup. Notably, the devices don’t have a separate section for the LED flash. Instead, the LED flash has been beautifully integrated into the perimeter of the camera housing. This camera arrangement is unlikely to make it to the 2019 iPhones. Supply chain sources familiar with the matter told Mac Otakara that the iPhone 11 and iPhone 11 Max both would feature triple cameras on the back. However, the reliable tipster Steve H.McFly has shared schematics that show a squared camera bump rather than the vertical orientation. The camera bump houses three lenses, the LED flash, and a microphone. The Apple iPhone 11 concept has switched to USB-C charging. Lee also envisions a slim AirBattery that would attach magnetically to the rear of the iPhone to extend the battery life. The concept device also comes with bidirectional wireless charging called ‘PowerDrop’ that allows you to charge compatible accessories and devices by putting them on the back of the iPhone 11. The concept phone also gets an upgraded Face ID technology that works in any orientation. Lee has also integrated an in-display fingerprint sensor. Only time will tell how accurate this design will turn out to be, but there is no denying that it looks gorgeous. Other features envisioned in the video include an A13 processor, the iOS 13 software with new features like Split View, three 14MP lenses with Time-of-Flight sensor on the back, and a 10-megapixel TrueDepth camera on the front. Interestingly, the device packs a huge 6GB RAM, up from 4GB in the iPhone XS and XS Max. Earlier this week, Mac Otakara reported that Apple would increase the screen size of the iPhone XS successor from 5.8-inch to 6.1 inches. Apple will have to make the phone slightly longer and thicker to accommodate the triple camera setup and a bigger battery. It has to include larger batteries to ensure that the new iPhones last a full day of normal usage while charging other devices and accessories via bidirectional wireless charging. The upcoming iPhones are said to ship with an 18W fast charger and a USB-C to Lightning cable in the box. Until now, Apple was shipping the iPhones with a slower 5W charger and USB-A to Lightning cable despite supporting fast charging. People who wanted to take advantage of fast charging had to separately buy a fast charger and a USB-C to Lightning cable. The 2019 iPhones will be arriving at a time when smartphones from Samsung and Huawei are delivering far superior photography experiences than the iPhone XS and XS Max. Apple has to catch up with them or beat them if it wants to stand out. According to DxOMark, Huawei’s P30 Pro, Mate 20 Pro and P20 Pro, Samsung’s Galaxy S10 Plus, and even Xiaomi’s Mi 9 have better cameras than the iPhone XS Max. The OnePlus 6T is not far behind either.